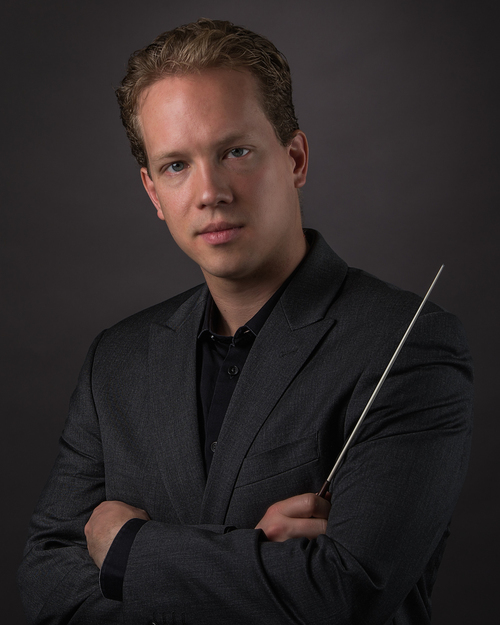 Joshua Horsch ('09 M.M.-orchestral conducting) has accepted an appointment at Pensacola Opera (FL) for the 2016-17 season. He will serve as music director/conductor of "Glory Denied" as well as for the Artist in Residence program. In addition, he will serve as assistant conductor for the company's productions of "Aida" and "Dead Man Walking." Josh received his D.M.A. in orchestral conducting from the University of Colorado-Boulder in 2016. At the University of Colorado, he served as music director/conductor for the Campus Orchestra, assistant conductor for the Symphony Orchestra, and assistant conductor for CU’s Eklund Opera program. Josh topped off his career at Colorado by conducting a production of Aaron Copland’s The Tender Land in April 2016. He has worked as an apprentice artist with Opera Saratoga (NY), assistant conductor/rehearsal pianist for Fort Worth Opera (TX), and assistant/cover conductor for the Boulder Philharmonic Orchestra (CO). He also served as assistant chorus master for the Colorado Music Festival, conductor/pianist for CU New Opera Workshop, conductor/pianist for the Newport Music Festival (RI), and staff music director/conductor for the Boston Opera Collaborative. His guest and workshop conducting includes work with the Baltimore Symphony Orchestra and the Oregon Bach Festival Orchestra. Josh received his bachelor’s degree in piano performance from Ithaca College. His primary conducting teacher at Penn State was Gerardo Edelstein.